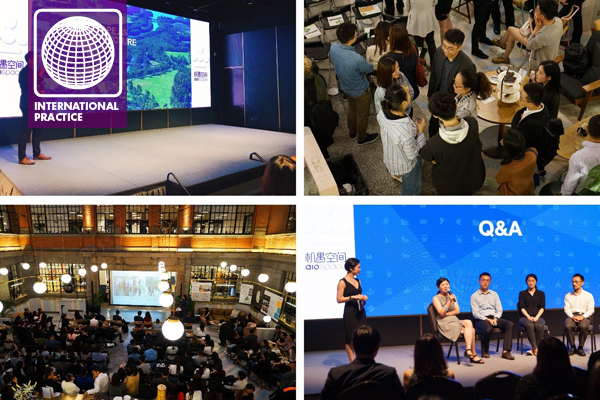 The fifth Shanghai Landscape Forum will be held at the AIO Space on April 21, 2019. This forum is open to the public with ticket admission, and early bird tickets were released on March 24. For the first time, the forum called for interdisciplinary proposals and extended the interactive discussion sessions. A number of designers from the world’s top landscape design firms will share their wonderful ideas. There will also be opportunities to interact with designers face to face. Twenty-two media groups were invited by the organizers to participate in pre-event promotion and post-reporting of the event. Vantaly Art, RainBird Irrigations, Shanghai Yize Electromechanics, and KOMPAN are the sponsors supporting this event. The forum is bilingual in both Chinese and English to target a wider audience. The Shanghai Landscape Forum looks forward to your participation and discussion! “Sensation” is both concrete and abstract. It is people’s perception of the external environment and their thinking in the spiritual world. It’s based on the experience and knowledge of the past, but also the most direct reaction and feeling for the present. It could be the same and so different to everyone. As a landscape architect, we focus on analyzing the site and solving problems. With the increase of project experience, we are more proficient with solving design problems, but is the passion of creating a beautiful world still there? With the topic of sensation for this forum, we hope that designers and allied professionals can think about the meaning of landscape from a new perspective. Experiencing the Shanghai Landscape Forum with an open mind will surely bring new thinking and creativity. This forum will invite speakers from top international landscape design companies, as well as artists and scholars to carry out a rich and interdisciplinary discussion. Please contact shanghailandscapeforum@gmail.com if you have any questions.